The outdoor bonsai collection is closed for the season and will re-open on May 11, 2019. Please visit our indoor tropical bonsai display inside the Baker Exhibit Center Greenhouse, open 9 a.m. - 5 p.m. daily through April. Bonsai is a challenging and rewarding horticultural activity, in which ordinary plants are grown in an extraordinary way. Through rigorously applied cultivation techniques, trees, shrubs, vines and even herbaceous plants are kept in a miniaturized state, developed into artistic shapes and then displayed in special containers. What makes the Arboretum’s bonsai endeavor unique among all other public collections in the United States? Regional Interpretation. Visitors will find the Arboretum’s bonsai collection of more than 100 specimen carefully cultivated with a Southern Appalachian accent. The collection draws inspiration from the traditional roots of bonsai, but takes the form of a contemporary, Southern Appalachian influenced American garden. Plantings in the landscape include species and cultivars of American, European and Asian origin. Established in October 2005, The North Carolina Arboretum’s Bonsai Exhibition Garden is a world renowned garden that hosts up to 50 bonsai specimen at a time. Represented are traditional Asian bonsai subjects such as Japanese maple and Chinese elm, tropical plants such as willow-leaf fig and bougainvillea, and American species such as bald cypress and limber pine. Of particular importance are the plants native to the Blue Ridge region, such as American hornbeam and eastern white pine, which enable the Arboretum to bring the thousand-year tradition of bonsai home to the mountains of Western North Carolina. Interpretive signage throughout the garden conveys information about the art and history of bonsai, and the Arboretum’s own creative approach to it. Please note: During the winter season, the temperate bonsai specimens are moved into storage. The full collection will re-open on May 11, 2019, World Bonsai Day. Arthur Joura has been the Bonsai Curator at The North Carolina Arboretum, in Asheville, N.C., since the inception of the bonsai program in 1992. Joura’s educational background is in fine art. Over the years, Joura has studied bonsai with some of the leading bonsai authorities in the United States and was an official student to the Nippon Bonsai Association in Japan. Over the past 23 years Joura has built the bonsai program to be one of the Arboretum’s strongest components. He has extensively toured the eastern U.S. as a lecturer and teacher, and has been featured in numerous regional and national publications for his work with the Arboretum’s bonsai collection. In 1996, he organized the first Carolina Bonsai Expo, a show featuring the work of bonsai enthusiasts from organizations in a 6-state region. Now in its 21st year under Joura’s management, the Expo attracts more than 4,500 visitors for the two day event and is recognized as the premier annual bonsai show of the Southeast. Joura has been featured on UNC-TV for his work and was an invited guest speaker at the World Bonsai Convention in Washington, DC. In 2010, he received the “Ho Yoku Award” for Finest Creative Western Formal Display at the 2nd US National Bonsai Exhibition. 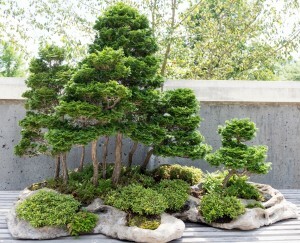 In addition to countless recognitions, Joura spearheaded the design and development of the Arboretum’s Bonsai Exhibition Garden, which opened to the public in October 2005. Since then, Joura has managed the operation of the garden and guided its continued aesthetic development. 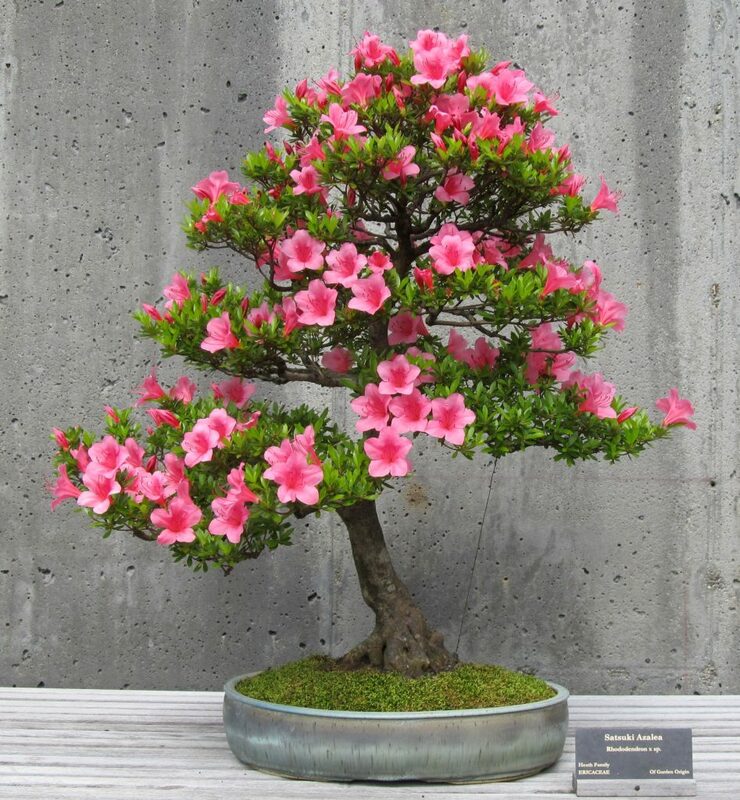 In 2012, the World Bonsai Friendship Federation (WBFF) designated The North Carolina Arboretum’s Bonsai Exhibition Garden a “WBFF Resource Center,” which at that time was only the second such entity in the United States. 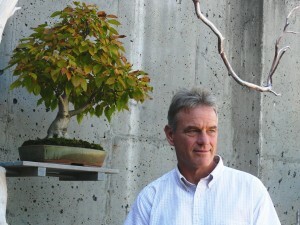 In his development of the Arboretum’s collection (which now numbers well over 100 specimens, plus many others in production), Joura constantly seeks to forge connections between the art of bonsai and the Arboretum’s mission to promote appreciation of the flora and culture of the Southern Appalachians. The inspiration for his design work with the Arboretum’s collection is not the bonsai depicted in books and magazines, but rather the example of nature as represented by the wild trees of the fields and forests that cloak the Blue Ridge Mountains. Joura feels this is a return to the roots of bonsai as an artistic vehicle to express an individual’s experience of the natural world around them.